There's no such thing as complete, 100-percent perfect privacy or security. The Heartbleed vulnerability made that patently clear. But you can lock down your Internet access, making a security breach much less likely. I've already discussed email privacy, so I'll concentrate here on secure web surfing. Most browsers have a mode that allows you to visit sites without being tracked. There's no history, and no cookies. But you need to know these modes' limits. The sites you visit will still see your router's IP address. And your ISP still knows who you're visiting. And what your ISP knows, the government can find out. 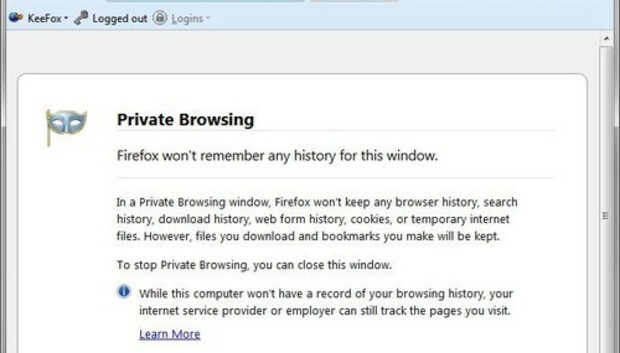 Internet Explorer: Select Safety>InPrivate Browsing. Chrome: Click the menu icon in upper-right corner and select New incognito window. Firefox: Tap Alt to bring up the browser's menu. Select File>New Private Window. The right tools can add layers of protection to your browser. Here are two free ones I recommend. Ever hesitate to enter your real email address into a webform? WithMaskMe installed in Firefox or Chrome, you can click on an email address field and have it provide a random, disposable address. Mail sent to that address will be forwarded automatically to your real address...until you tell MaskMe to stop forwarding it. If you're willing to pay $5 a month or $45 a year for the premium service, MaskMe can also provide temporary credit card numbers. Another add-in, Ghostery, protects you from commercial spies who work in the background. Every time you load a webpage, it displays an annoying but revealing pop-up showing all the advertising and tracking services using that site. You can block services you don't want. I should mention that Ghostery's parent company, Evidon, takes money from advertisers, creating a possible conflict of interest. All of these solutions still allow websites to see your IP address and allow your ISP to track your surfing habits. You can use a virtual private network (VPN), among other option, to hide your IP address. Or you can use the Tor Browser. This special browser, which always runs in privacy mode, routes its signal through a complex series of servers to hide where you're really coming from. It's about as safe as you can get on the web. With these precautions, you should be reasonably safe.